The ritual of brunch is alive and well in Miami. Hungover from the night before? No problem. Below, a proper list to cure what ails from southern cuisine to classic savory eggs, sweet waffles and salty bacon plus everything-under-the-sun buffets with plenty of bottomless booze. 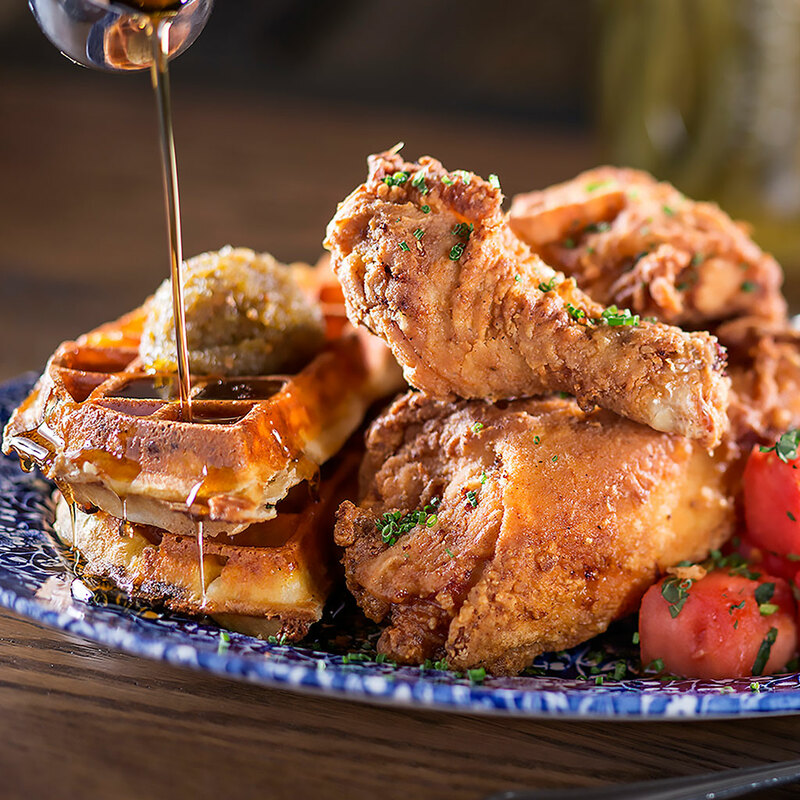 For classic Southern food, Yardbird is your place. It is the spot for a fried green tomato BLT or Mama’s Biscuits (made with a secret concoction of honey and butter) and served with all the fixings. And for the super hungry, Chicken n’ Watermelon n’ Waffles with honey hot sauce, chilled spiced watermelon, is a perfect meeting of sweet and savory. Just off the Aloft Hotel, restaurateur Stephen Starr’s Continental serves up on-trend avocado toast with poached eggs and crispy potatoes and if you’re among the afternoon brunch set, a decadent Maine lobster mac & cheese with toasted breadcrumbs. This small modest diner-style spot is perfect to sit for a hearty duck “McMuffin” on Portuguese bread served with smoked gouda and all things duck: duck bacon, sunny up duck eggs and lemon aioli. Vegetarians have plenty of options too—they’ll appreciate the variety of dishes like spaghetti squash and roasted beets with goat cheese. It’s all about comfort food of the steak and eggs variety including the All American Breakfast with bacon and sausages. For optimal dining, escape to the patio and soak up some of that legendary Miami sun with your crispy textured corned beef hash with over easy eggs. Situated in a restored 1930’s house, this lively Wynwood classic doles out American cuisine including country flapjacks using cornmeal, ham and scallions and a chocolate dipped waffle. We suggest you keep cocktails like the Hibiscus champagne flowing freely. This popular spot at the Freehand Hotel offers an a la carte menu featuring plenty of brunch fare from a spread of Tres Leches French Toast to a lamb burger accompanied by a robust mid-morning cocktail program like the “Red Bloody” which uses a wicked house made kimchi. Inside the chic SoHo Beach House, five overflowing buffet stations are chock-full of everything you’d expect including eggs, pizzas, sweets, yogurts and fruits, meats and fish (think smoked salmon) and of course, bottomless drinks. Inside the Four Seasons Brickell, this steakhouse helmed by chef Aaron Brooks whips up a diverse brunch spread with grilled-to-order meats, a raw bar and even a taco station. For those who take dessert post brunch, the cortadito crème brulee mixes well with a robust cup of coffee. For maximum outdoor exposure, pop out on the patio.